March is Woman's History Month! To celebrate the strong women who help to make this union run, we would like to honor several below. Theresa McGoldrick is the National Executive Vice President of NAGE. She’s also President of Unit 6, Local 207, which represents professional employees in the Commonwealth of Massachusetts. “I love being part of the labor movement, and standing up for what is right. Our members do so much to keep the Commonwealth running, as well as other States across the country. Working for NAGE has been my chance to make a difference in people’s lives, and I’m lucky to be part of the NAGE family," she stated. Theresa also stands up for public workers through her position on the state’s retirement board and Pension Reserves Investment Board, to which she was elected in 2004. In her spare time, Theresa enjoys spending time with her family. 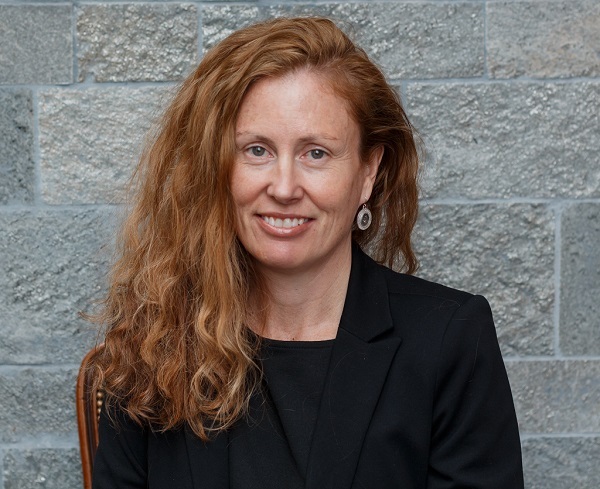 Sarah Suszczyk is the Deputy General Counsel for NAGE. She previously served as Federal Director and Regional Counsel. When asked what she enjoys most about her role she stated, "NAGE’s team of attorneys, field representatives and support staff bring fire and enthusiasm for fighting for workers’ rights. Even after ten years with the organization, every day brings new challenges, issues, and opportunities that keep the work interesting. I know that we are the voice of thousands of men and women across the country serving the American public. Working at NAGE has been the best experience of my career representing working people." In her spare time, Sarah enjoys spending time with her husband Karl, daughter Eliza, and traveling. Ms. Golder is an Information Technology Specialist at the VA Medical Center in Indianapolis, IN who has worked at the VA for 21 years. 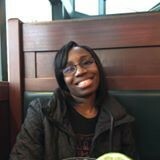 She has been a NAGE member for seven years and serves as President of NAGE/SEIU Local 551. Nicole is also a member of the NAGE National Executive Board. “It is an opportunity for me to minister to and disciple others in one of the places that it is needed most – the workplace,” stated Nicole, when asked what she likes most about her job. 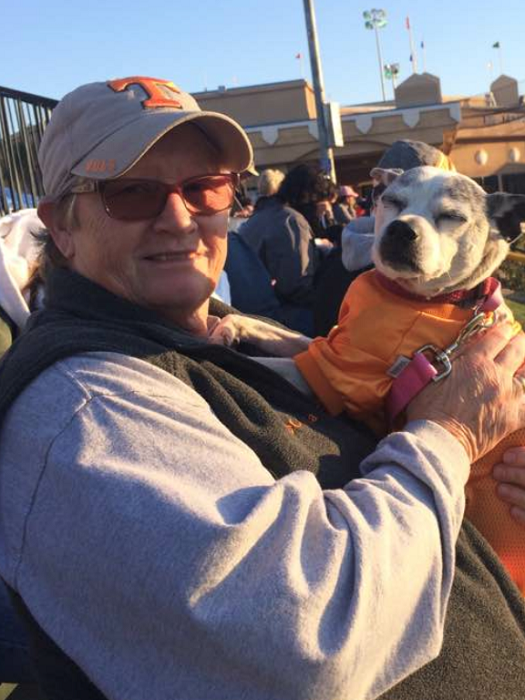 In her spare time, she enjoys hanging out with her friends and watching her son play basketball. LaDona Williams is a NAGE Local Treasurer and an Emergency Planning Specialist at the District of Columbia Homeland Security and Emergency Management Agency, where she's worked for 15 years. Ms. Williams states that she likes the customer service and outreach aspect of her position because she truly enjoys serving the public. In her spare time, Ms. Williams enjoys cooking and hanging out with her family. 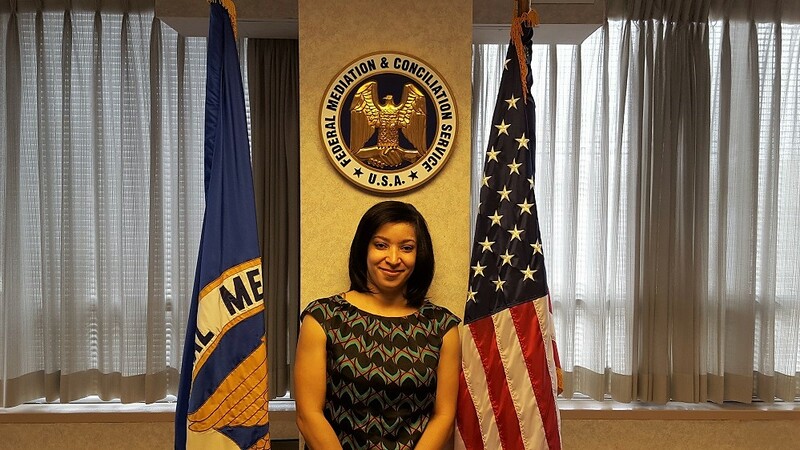 Shakima Wright is a Senior Program Assistant at the Federal Mediation and Conciliation Services (FMCS) in Washington, DC and Local President of NAGE R3-118. 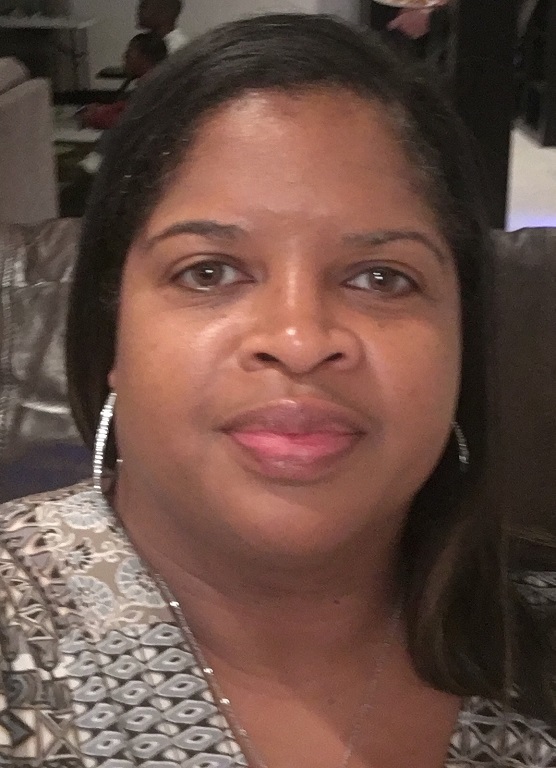 With 17 years at FMCS and 12 years as aNAGE member, Ms. Wright states, “I enjoy the satisfaction my customers have when I interact with them on a daily basis and the ability to solve their problems when they arise.” In Shakima’s spare time, she enjoys doing adventurous things and spending time with her family. Susan Anderson is a Program Assistant with the VA Medical Center in Martinsburg, WV, who has worked for the department for 29 years. As a NAGE member for the past 25 years, she currently serves as the President NAGE Local R4-78. Susan is also a National Vice President on the NAGE National Executive Board. When ask what she enjoys most about her role at the VA she stated “Working at the VA and being the local president gives me the opportunity to be an advocate for the most deserving American heroes there are. When I am able to help them in what I do it is such a great feeling that I have been able to make a difference in their lives.” In her spare time she likes to read and spend time with her children and grandchildren. 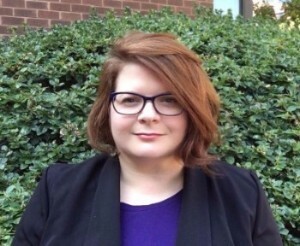 Ginger Andrews is a NAGE Local President and Information Technology Analyst at the VA Hospital in Butler, PA. Ginger has worked for the VA for 15 years and has been a NAGE member for 14. “As a military family member, it is my honor to server our veterans. It is important to ensure that our veterans are getting the best care that they deserve,” she stated when asked what she enjoys about her job. “Being able to thank them and have the opportunity to speak with them and assist them is very rewarding. These are the men and women who have given the ultimate sacrifice to allow us all to live in a country of freedom. We are truly the home of the brave!” she added. Ginger attends school full time and enjoys great food and tasting micro brews and craft beer at beer fests. She also loves to ride her motorcycle. 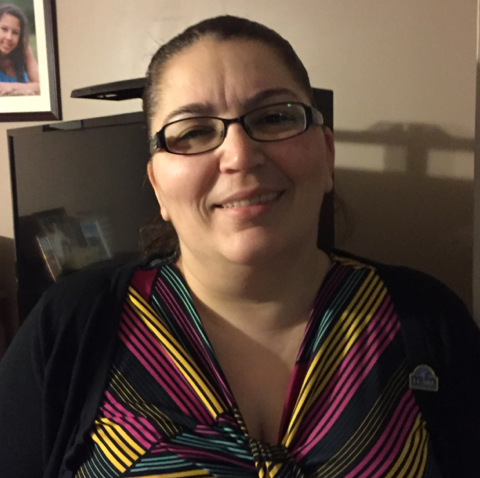 Rosalina Alejo is a Health Technician and President of Local R1-25 at the Brockton VA Medical Center in MA. She has been at the VA for 17 years and a NAGE member for 10 . Rosalina enjoys being President because, “I have always enjoyed helping people. I am able to make positive impacts in the work environment, whether it's coordinating and/or facilitating a meeting between employees and management or assisting a NAGE member understand their rights." She said, “I also communicate with all parties, at different levels of education and economical status. When something small snow-balls out of control, I meet with HR to go over policy changes." In her spare time she enjoys reading and spending time with her family and pets. Rosalina can also finish a 1000 piece puzzle in one day. Shelly Olson has worked at NAVFAC Southwest in San Diego, CA for 27 years and has been a NAGE member for 13. On base, she is a Maintenance Worker and is the Safety Officer for Local 12-35. “I enjoy working with people. In my position as the safety officer it allows me to reach out and inform people about safety policies,” she stated, when asked what she enjoys most about her career. "The benefit of my job is the training that it provides me and I'm able to pass on my knowledge to others within my command.” In her spare time, she enjoys her pets and sports. She is also involved with breast cancer awareness and helps raise money. 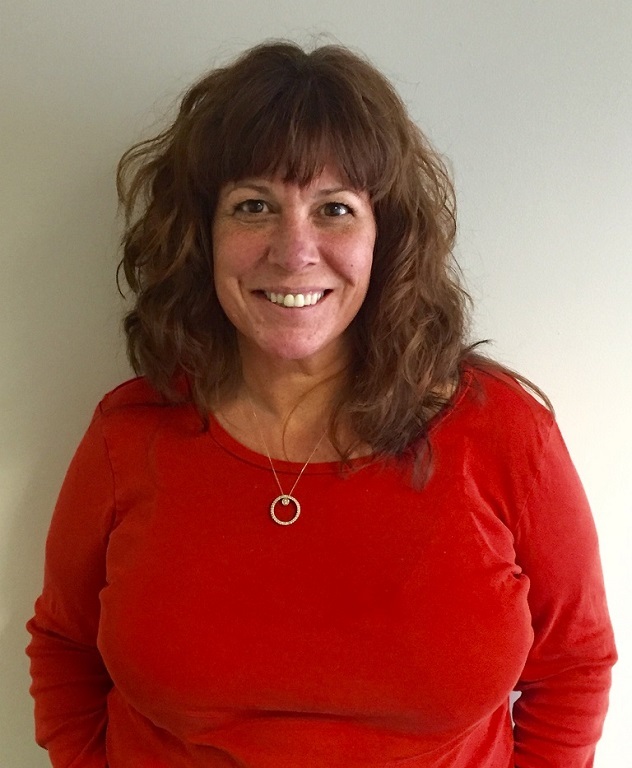 Kristin is a Probation Officer II in the Middlesex Juvenile Court in Lowell, MA. She enjoys that her job lets her help people, and she has become skilled at assessing issues and working to find solutions. As a Local Executive Board Member, she works in the best interest of her fellow members by "addressing issues through labor management to ensure that work is completed" but done is a way that will lead to the best outcome for the members involved. Kristin is a great cook, and the go-to chef among her friends; her Osso Bucco is always a crowd-pleaser! 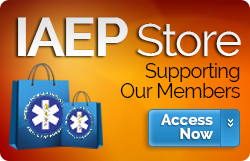 Paramedic Narissa “Nesha” Mohammed, President of IAEP Local R5-84 based in Orlando, Florida. Nesha is a longtime union leader, serving as Vice President prior to her current position. 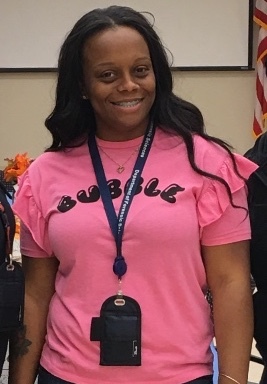 Nesha and the members of Local R5-84 responded to many major events over the past few years including the Pulse Nightclub shooting in June 2016 and various hurricanes. Nesha also works a second job at Universal Studios providing medical care to guests. 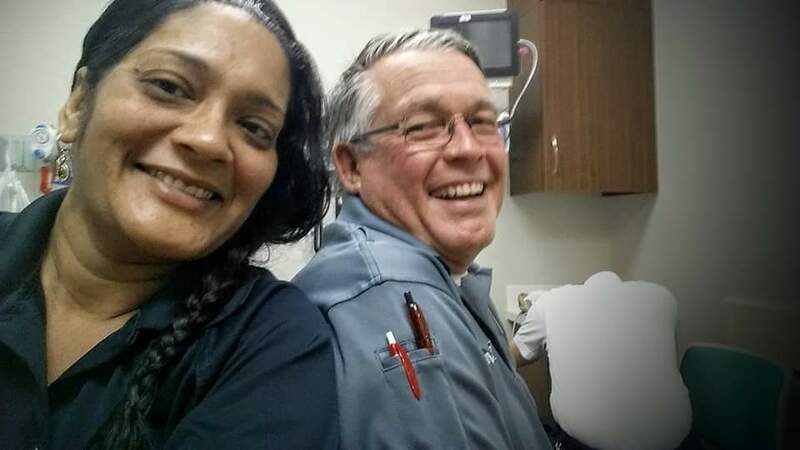 When she’s not working to keep her community safe, patients healthy, and be a champion for her local members, Nesha is a single mother and spends time taking care of her father. Amanda Layne is a paramedic working in Mounds View, MN, and IAEP Local 167 Secretary. Amanda has been a NAGE/IAEP member for the past 10 years, and when asked what she likes about her job replied, “I like helping people, whether they are patients or coworkers. My position as union secretary allows me the opportunity to be a contact point for the entire union body and source of information for those in need. 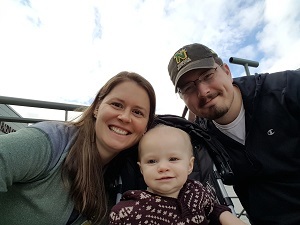 I am a third generation union member and very proud to serve the membership.” When she’s not serving her community in EMS, Amanda loves to cook (she’s even been in charge of a pig roast for the union picnic), and cheer on the Minnesota Wild with her family. 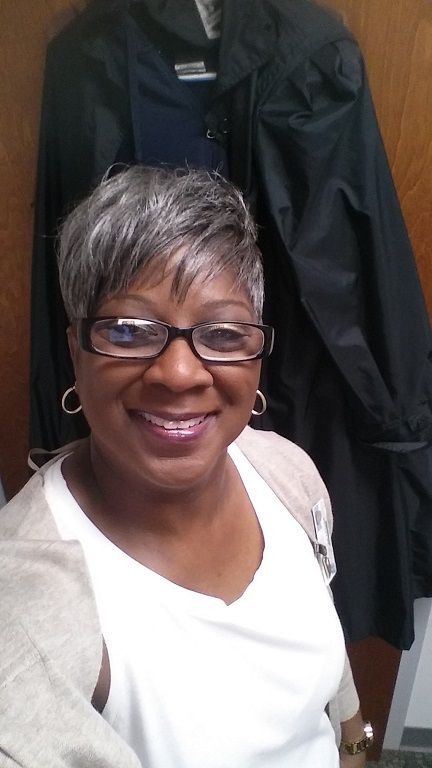 Jovita Murchison, Store Associate and President of Local R3-22, has worked at the Commissary on Joint Base Anacostia and Bolling in Washington, DC for over 25 years and has been a NAGE member for 18 years. “I enjoy meeting people and ensuring that the customer's shopping experience at our store is problem free. Grocery shopping is not easy, especially for a military spouse, so if I can make the shopping experience less stressful, then I believe I am doing my part in the goals of DeCA. I always remember how it was when I was a military spouse shopping at the commissary,” she stated, when asked what she enjoys most about her career. 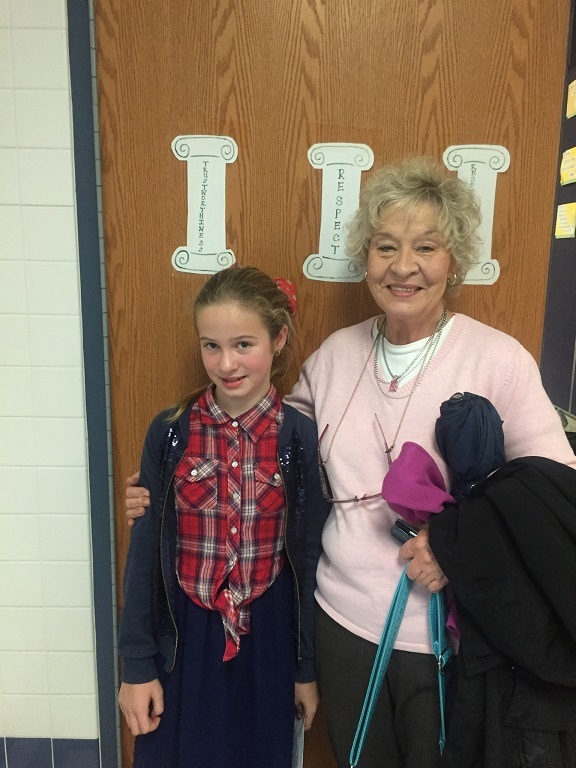 In her spare time, she enjoys spending time with her 10 grandchildren. The also enjoys arts and crafts and collecting ceramic figurines. LaToya McDowney is a Central Evidence Specialist and President of the NAGE local at the DC Department of Forensics Sciences (R3-09). She has worked for DFS, since December 2015. 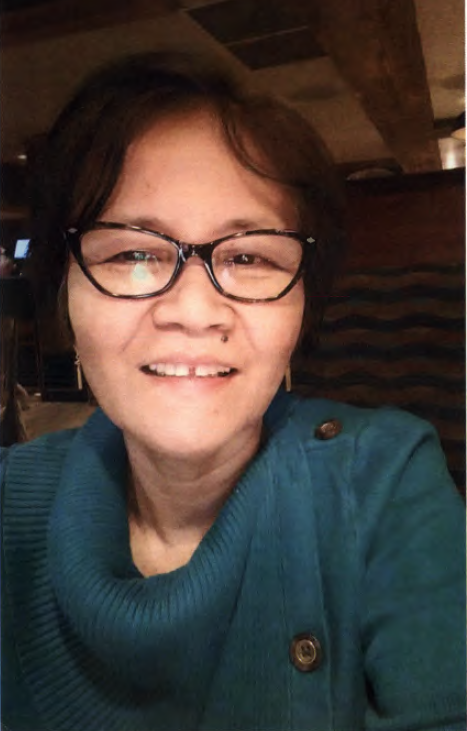 When asked what she enjoys about being Local President, she stated “I enjoy helping NAGE to achieve its mission for all members in the workplace.” In her spare time, LaToya loves spending time with her family. She also enjoys shopping, and planning events. Lizabeth Walker, High Voltage Electrician, Work Leader, at the Naval Facilities Engineering Command, Public Works Department, in Great Lakes, IL, has been Department of Navy and a NAGE member for more than 29 years. She also serves as President of NAGE Local R7-51 and sits on the NAGE National Executive Board. When asked what she enjoys most about her position she stated, “Providing the support that is necessary for the Department of Navy to have the sailors prepared to begin their duties and accomplish their mission to protect and serve our Country. Great Lakes has the only Recruit Training Command in the Navy with the - every newly enlisted sailor will begin their service at Great Lakes. The work we do to support the Navy results in their training completed and moving out to their work.” In Liz’s spare time she enjoys cooking and spending time with my children and grandchildren. “I have been blessed to have some great friends and family so what could be better than that,” she stated. 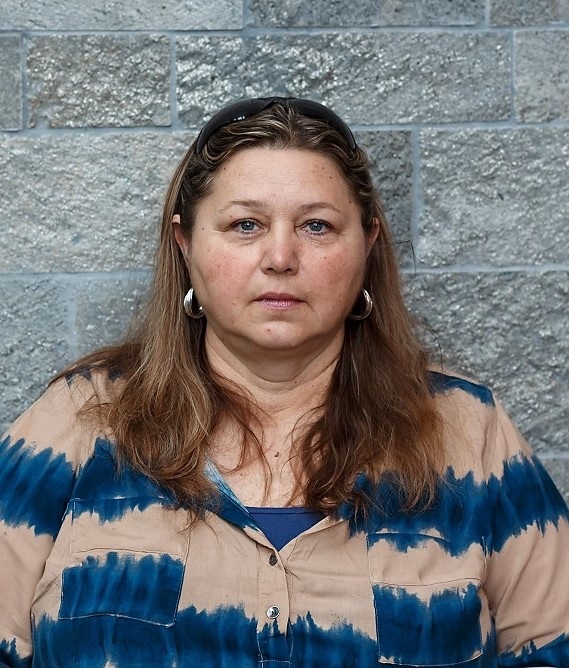 Yvette Bryant is an Investigative Assistant with the Narcotics and Special Investigations Division, Asset Forfeiture Unit, at the Metropolitan Police Department in Washington, DC, where she has worked for 26 years. 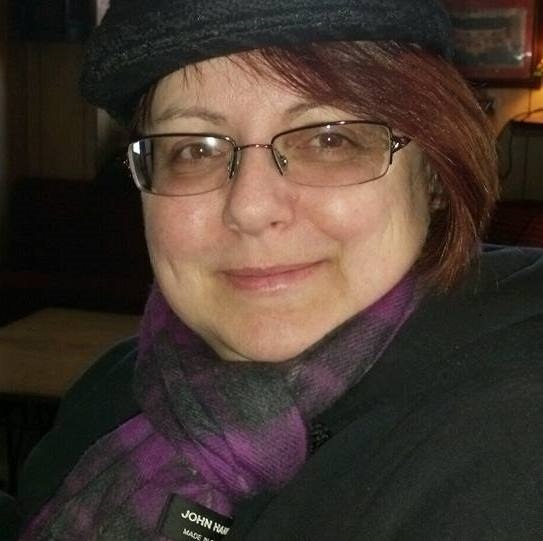 As a 23 year NAGE member, she serves as Chief Shop Steward of Local R3-05. When asked what she enjoys most about her job, she stated that, “It gives me a chance to give back and it allows me to stay connected with others on issues that affect us all.” In her spare time she loves to cook and listen to Jazz music. She also loves to read the Bible.